As the weather starts to turn cooler, keep warm with these easy fall recipes. 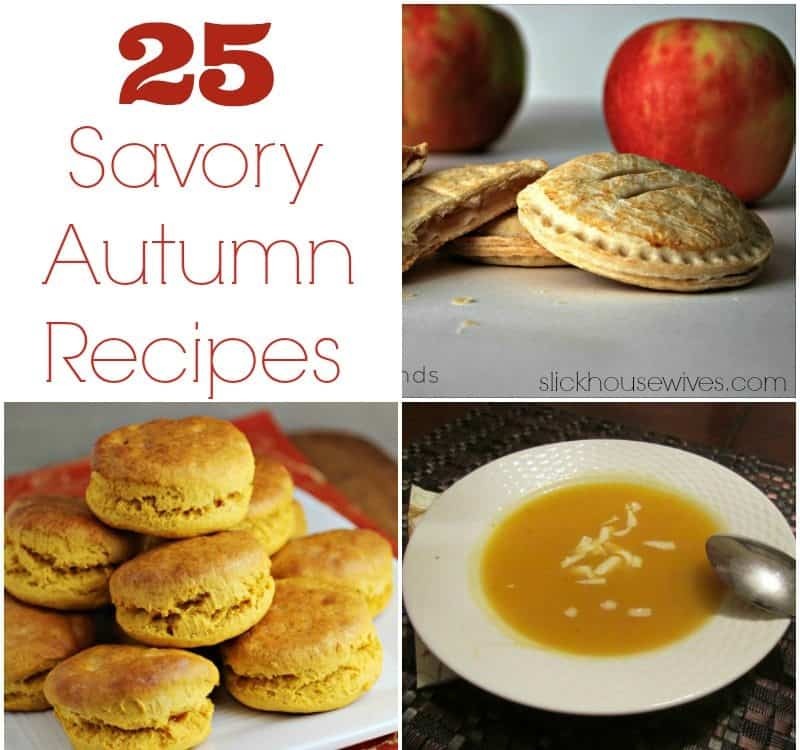 You’ll find soup recipes,pumpkin recipes, crockpot recipes and delicious fall desserts! To make sure you don’t miss out on any of the delicious meals you could be having this fall season, I’ve put together a list of awesome recipes that are perfect for the crisp weather of autumn. Make sure to pin this and share it with your friends and family! My favorite comfort food this time of year is Mac & Cheese. Make sure to check out our Crockpot Macaroni and Cheese Recipe! If you are looking for more Fall Recipes Ideas for fall party themes, tips for bringing autumn into your home and yummy fall recipes, check out this great cookbook that includes a quick and easy guide for savvy entertaining at home! Make sure to check out our other Recipes that would make great Fall Recipes! Thank you, Bianca, for including my sweet potato biscuits in your list of savory autumn recipes! This is a great group of recipes! Thanks for providing such delicious recipes! !